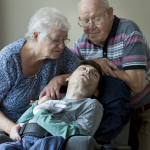 A devoted Swansea couple who have dedicated their lives to a young man who was not expected to live past his 16th birthday and is now 42 are in the running for a top national care award. Elaine Bastin, 75, and her husband of 55 years Len, 78, had already fostered over 40 children with learning and physical disabilities when they were introduced to the then 14-year-old child. The remarkable couple have been shortlisted as finalists at the prestigious 2018 Wales Care Awards, which aims to reward outstanding work in the social care sector. They have been nominated in the Wales Care Awards’ category for Promoting Fulfilled Lives, sponsored by Boots Healthcare and on October 19th will attend the glittering ceremony at the City Hall in Cardiff. It is set to be an extra special event as it also marks the Wales Care Awards’ 15th anniversary, and the 25th anniversary of organisers, Care Forum Wales. 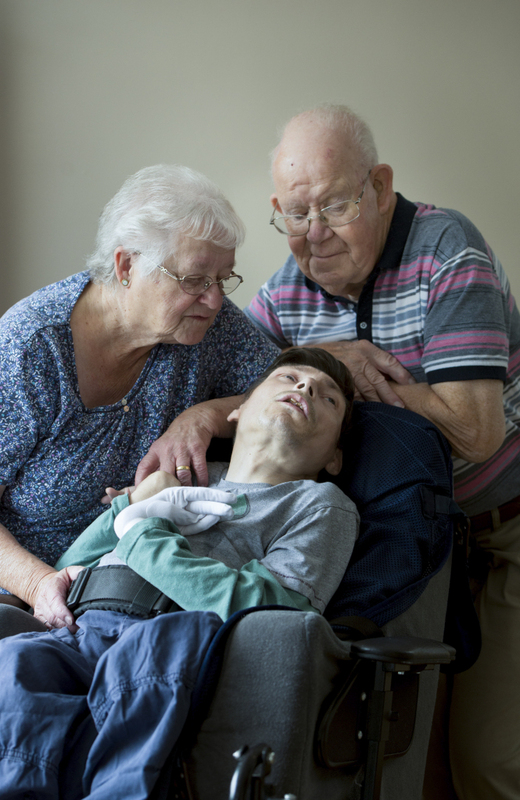 Warned that his complex health needs meant he wasn’t going to reach adulthood, the determined couple took their new foster son back to their Bishopston home and, thanks to their dedication and care, he remains part of their family, 28 years on. “Everyone thought G was not going to even make it to his 16th birthday – but when I saw him, I looked at him and thought ‘I’m going to work with you’. Retired driver Len and former hairdresser Elaine had already adopted two boys, but with the support of their family, which now includes five grandchildren and six great-grandchildren, G continues to confound his doctors. “I can’t really explain what it is we do, but one doctor said to us, I don’t know what it is you are doing Mrs B, but carry on!” Elaine added. The remarkable couple have now been G’s full-time Shared Lives Carers for the past 28 years and show no signs of slowing down, although Elaine admits it hasn’t always been easy, with Len also successfully battling cancer three times. “But you just need to take it all in your stride and get on with things,” she added. The couple were put forward for the award by their Shared Lives Coordinator, Ron James, who said the scheme wanted to publicly acknowledge and reward them for their total dedication to G.
With the Bastins’ support, G continues to thrive against the odds, and is a central part of their family. 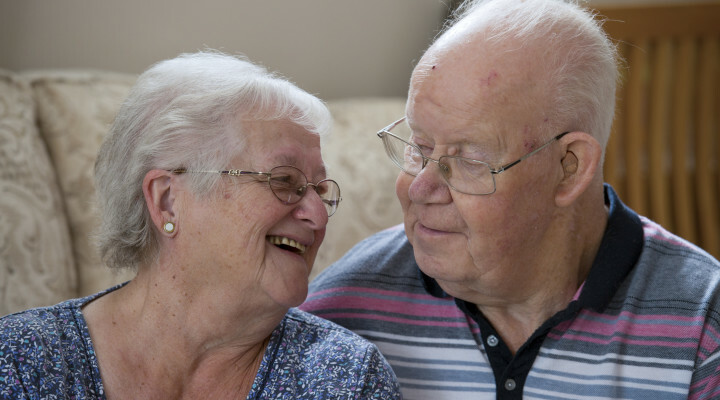 With his love of classical music, hot chilli sauce, holidays and being by the sea, the couple continue to do whatever they can to provide a loving and happy home for G.
“It is our way of life and we enjoy it, we didn’t have children of our own, so we thought, well, let’s help some others,” Len added.